Here's something a bit special for you... A 2017 SuperSport S custom painted from new by us in a Superleggera style and fitted with a full coverage 3m paint protection film kit. We commissioned the paintwork for this bike and it was carried out by 8 Ball Custom Paint, one of the UK's best paint shops. 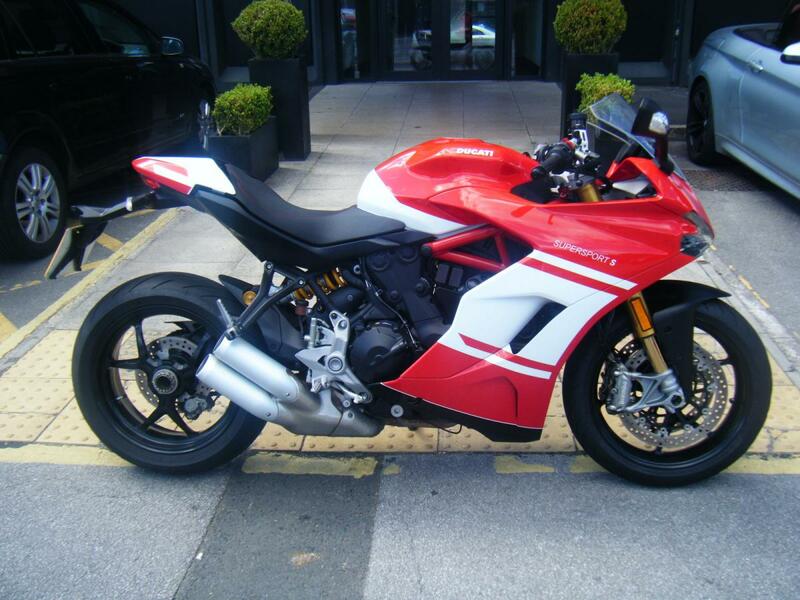 This is a 1 owner bike and has 5 months of Ducati warranty remaining. Stand out from the crowd with this fantastic looking machine. Ask for a personalised video and a finance quote. Call or email to secure. Nationwide delivery available and part exchange welcome.